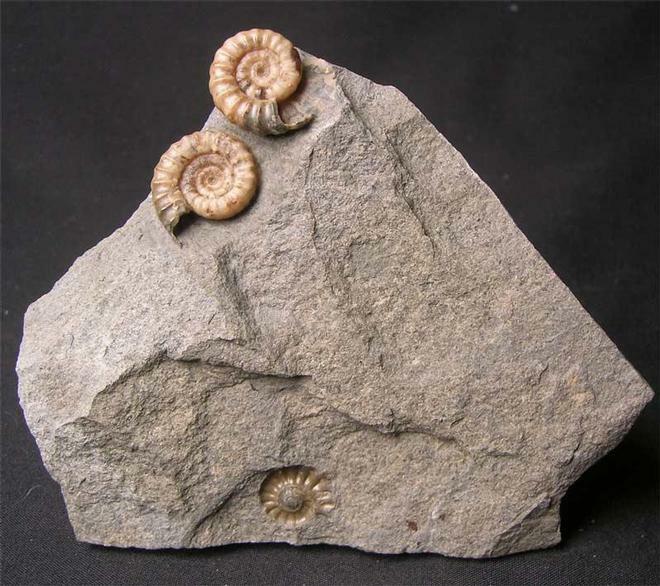 This promicroceras has been preserved in pale yellow calcite and lies on an aesthetic piece of matrix which would make a lovely natural specimen with no cut base. Approximately 200 million years old. The ammonite has been fully prepared. 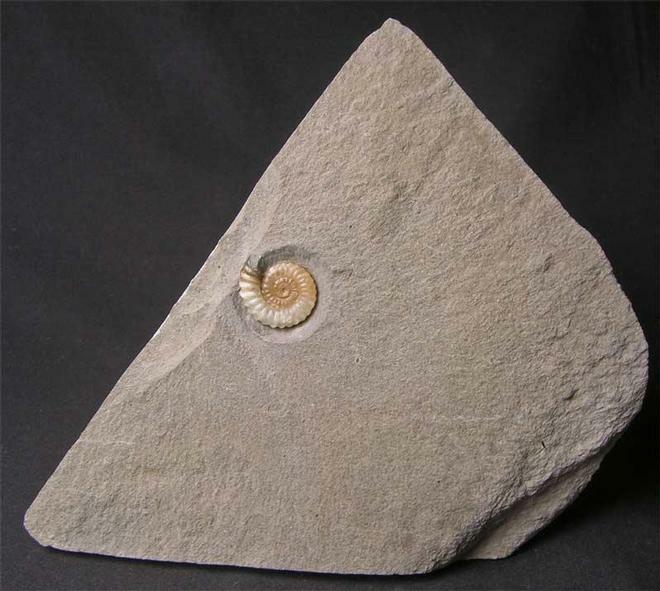 A beautifully preserved solid calcite ammonite with an immaculate centre. 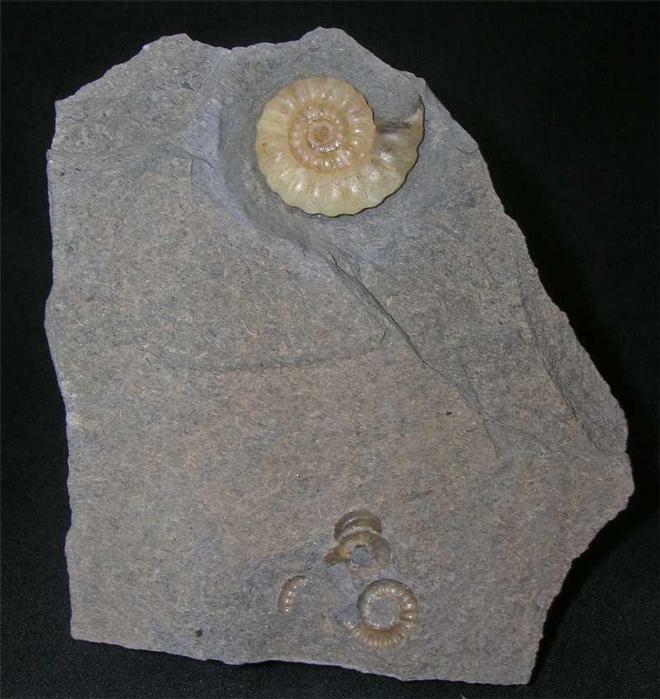 The ammonite lies on a substantial piece of matrix and has a cut base for upright display. Approximately 200 million years old. A unique gift idea. A really well preserved double ammonite piece. The ammonites being pale yellow calcite really stand out against the grey matrix background. 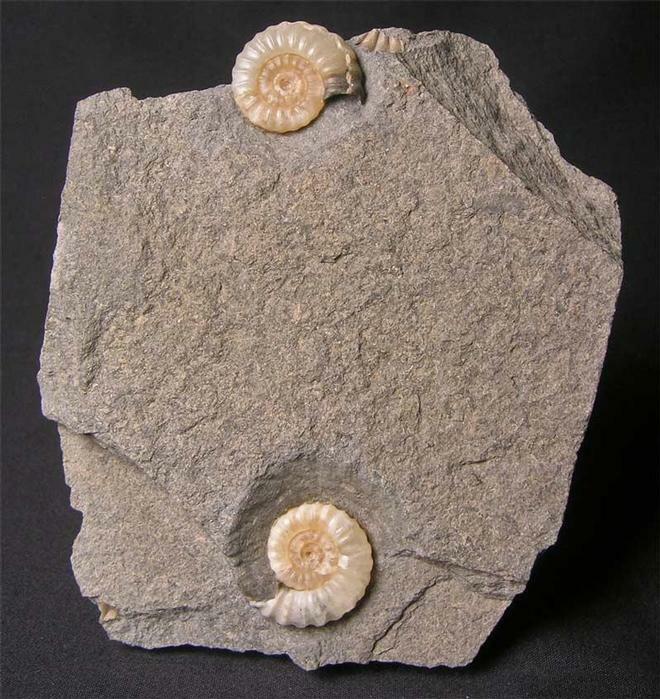 The specimen has a level base for upright display and is approximately 200 million years old. A unique gift idea.